 Sweet Dreams Gourmet respects your privacy above all else and we want to assure you that you are protected. We may collect personally identifiable information when you visit our site. We also automatically receive and record information on our server logs from your browser including your IP address, cookie information and the page(s) you visited. Any information you disclose to our site or give to us in any way will remain strictly inside our company. No one at Sweet Dreams may use it for other purposes. We will never sell any of your information to a third party. The information we collect will only be used to help serve you. Sweet Dreams Gourmet goes to great lengths to protect the confidentiality and integrity of any personal information you share with us over the Internet. Sweet Dreams treats personal data such as credit card information as critical assets that must be guarded at all times against loss and unauthorized access. To ensure the security of credit card and personal information, this Web site employs industry-standard security methods, including the Secure Socket Layers (SSL) protocol for the encryption of transmitted data. Your satisfaction is important to us. We strive to offer you the best quality products and try to give detail information on each item as well as a close up pictures so that you will clearly see what you are purchasing. If you have a question about any of our products, please do not hesitate to call us and we will be happy to help you. Because our products contain food / drink or are used with food and drinks, and for safety health reasons, we cannot offer refunds or exchanges. If you choose to return your purchase without contacting us for approval, for any reason, this will be at your own expense and no refund will be given nor will the product be sent back to you. Items that are not food related or if we made an error in packing your order, please contact us and we will make it right. We will not be responsible for lost or damaged packages that are returned. Approved returns must be sent to us within 7 days of your receiving them, in the same package and condition that it was shipped. ONLY approved items will be refunded or exchanged. Please note that we cannot refund shipping costs. You will be credited only for the amount of the items purchased. All credits will be issued within 10 days of receiving goods back to us. This return policy does not apply to any custom made orders or special request made by you upon ordering. We understand from time to time something may not arrive in proper condition due to shipping or packaging from the manufacturer. Should you receive damaged goods, please notify us within 2 days of receiving your order and we will take care of it immediately. We will give you instructions on what to do in order to get the package back to us.